Sometimes it can be a pain to get exactly what you’ve been asking for. 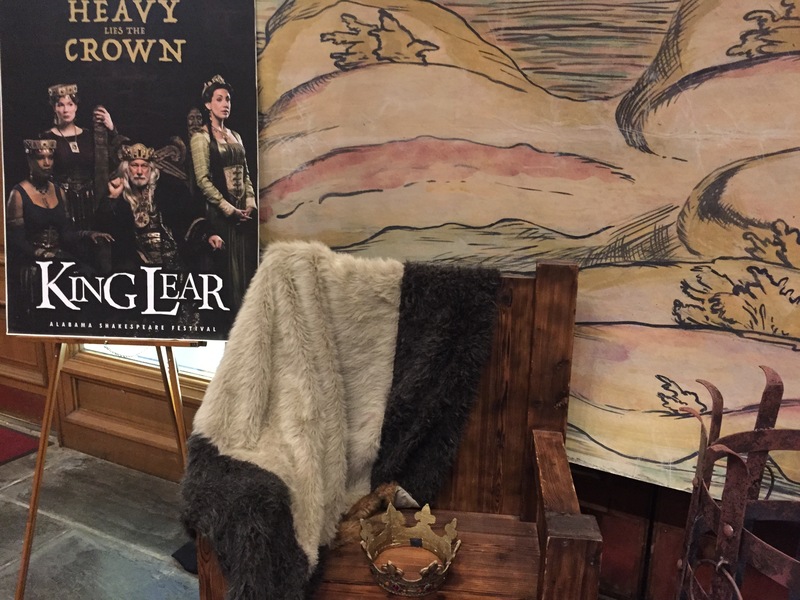 But in the case of King Lear at the Alabama Shakespeare Festival, we felt vindicated by our constant requests that ASF perform more of the Bard’s high-powered originals. It’s not that we’re against the family-friendly fare (like Mary Poppins or The Lion King) or the folksy Southern stuff, but we just really, really like the timeless quality of genius. King Lear was exactly what we were looking for: enduring themes, titanic drama and wrenching performances. We have complained before when Shakespeare’s works have been dropped into unnecessarily quirky settings, perhaps as gimmicks for people looking to be distracted from the prose. 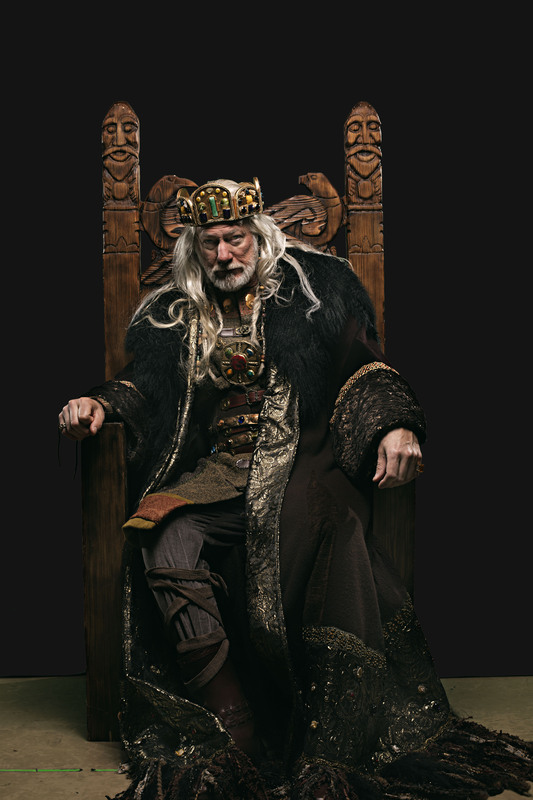 But ASF’s King Lear, which we saw Thursday night, is the raw and undistilled stuff. It’s an epic play about serious adult topics, and it’s probably the best thing we’ve ever seen at ASF. All praise for this production should begin with the towering performance by Rodney Clark as the titular monarch. His Lear rages, weaves, and crumbles. Our seats were good enough that we could see the heaving of his chest. We were rocked by his monologues and captivated by his embodiment of dignity undone. We left wondering how he could possibly do this every night. Trust us, you’ll want to buy a ticket and go find out. It’s that good. But this is not a show with a headliner and a bunch of backups. There were no weak spots in the roster we saw on Thursday. Cheri Lynne VandenHeuvel conjured real tears as one of Lear’s daughters. Bjorn Thorstad, who was one of our favorites in last season’s Great Gatsby, remains an astonishing talent. Really, everybody was very, very good. And these are not quick one-liners and throwaway scenes. King Lear is full of some sizable paragraphs laced with real emotional heft. While younger audience members might get a bit antsy waiting for a sword fight, for the adults following the conversations, there are some real twists and turns. Whatever TV show you were thinking about binge watching, put it on pause and do it after seeing King Lear. The drama there beats whatever you were thinking about ingesting from the television. One more words about the content: The themes really are timeless. Everybody knows someone dealing with an aging parent. Everybody has seen the effects of senility and dementia. We all know someone struggling to give up a position of power, or angling to be the next in line. This is a powerful story that ASF wants to tie to “swords and armor” sagas like Game of Thrones, but could be any story of a fracturing hierarchy. We may not live in a monarchy, but this really is a story that everybody can relate to. That fact reminded us of how we had seen another local performance that week, also about mortality. But whereas Bob Dylan’s show at the MPAC was about graceful longing during life’s last years, Lear hits like a sledgehammer — madness and corpses. Finally, it’s worth noting that in nearly every review we write about an ASF production, we heap praise upon the production values — great uses of lighting and the theater’s elaborate stage. But this version of Lear is almost hauntingly spare. There are no trap doors, and nearly minimal props. We were close enough to appreciate the fine craft of the costumes, but the main stage effect is a single castle wall on a turntable, used to tremendous effect. This minimalism suits the play well, and we were impressed with the restraint shown. King Lear didn’t need to be dressed up with gimmicks and illusions. Clark’s performance — a brittle monarch unraveled by his scheming daughters — is commanding enough. Seriously, go see this play. Leave the kids at home. It’s dark. It’s powerful. It’s a tremendous work of art happening in our town until May 10. King Lear closes May 10th – not May 30th–if you care to correct 🙂 Thanks! Rodney Clark’s performance alone is outstanding, but his amazing hair adds so much to the role. Think Gandalf. I’m currently a sophomore in college and was assigned to read this play for a seminar back in the fall. It was my first time reading it, and I was absolutely floored. King Lear is the reason I fell in love with Shakespeare. So naturally, I had to buy a ticket for this performance. King Lear is considered by many literary critics to be the epitome of tragedy, and ASF pulls it off. I was riveted by all of the performances, and cried in the last two acts way more than I should have. In fact, I’m pretty sure I never stopped crying throughout Act V. Every line was delivered with a flawless emotional punch, and it weighed heavy on my heart. It’s a given that Lear was played perfectly, but I would also like to praise the portrayal of Kent here. In some taped productions that I’ve seen, Kent was too flamboyant and brash. Too proper. In this production, Kent breathed and bled and wept just as a real man does. Though some of Kent’s more humorous moments were also deftly handled, I must say that Kent’s tears in the last scene when he cannot bring Lear to recognize him absolutely broke my heart. Kent’s love and admiration for the king were completely apparent and believable. Rambling aside, if you have the opportunity to see any Shakespeare play, see this one. This production is near flawless, and I promise it will haunt you long after the ensemble’s final bow.